Last edited by ArmstrongRacing; 03-01-2019 at 01:05 AM. Sorry to see you go buddy. If this becomes a part out put me down first for the header. When I saw you were the one with the last post in this thread, I prayed it was you saying, "looks slow"
Sad to see you go. I enjoyed following your exploits and seeing how far the Yaris could be pushed. Best for your future endeavors and GLWS. I wish you better luck than I've had. Really I do. in your case though It might be more profit to part out and walk away, even if but more work. Sorry to hear it, Tom. 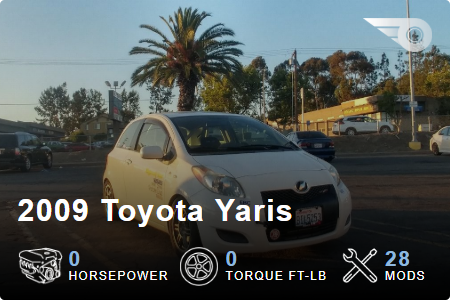 Appreciate all the hard work you've put into the Yaris and shared with everyone. Hopefully the scrappy little 2zrvios will find a good home. Good luck with the future endeavors! Damn, that is a hell of a deal. would i need ear plugs to drive it up to michigan? it has windows? heat? would need some tires? Man, that's tough to see such a low price for all the time, money, blood, sweat and tears you've put into that thing. If I was in a position to take it off your hands I'd be on it in a heartbeat.